The Daniel Johnson Memorial for Cadet 12 was conducted alongside the Big Legends for Over 40s on Sunday in beautiful conditions at the Highclere Raceway. 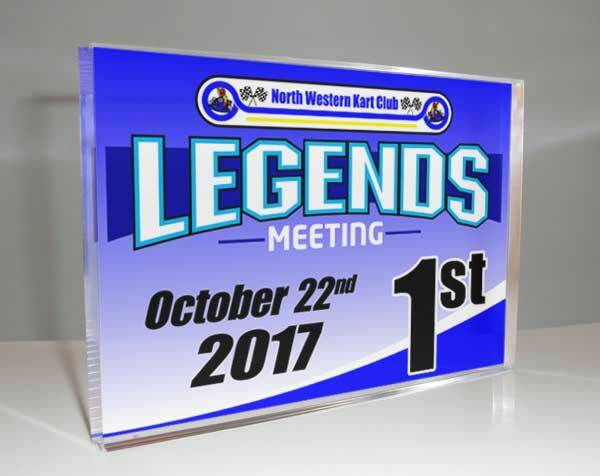 Karters backed up from Saturday’s Smithton meeting with an early start and no practise at the North Western Kart Club for what turned out to be a very enjoyable days racing. 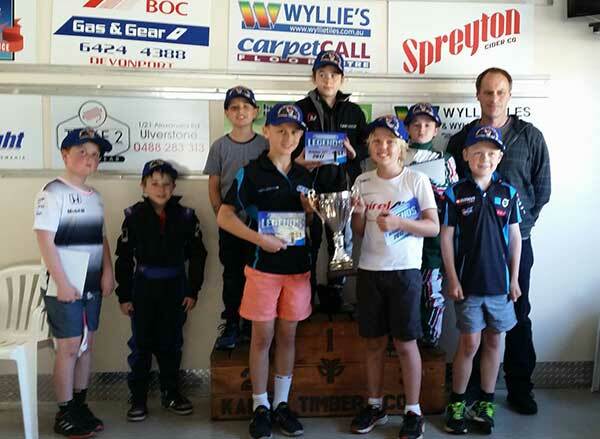 The Daniel Johnson Memorial was run on a points system with Launceston Kart Club duo Toby Callow and Ollie Richardson coming out joint winners. Toby Callow and Ollie Richardson with the Daniel Johnson Memorial trophy, plus all the Cadet drivers and Daniel’s dad. In the Big Legends, TaG Restricted Heavy pilot Dallas Harris claimed the gong after a hard fought battle with son Matthew and Smithton’s Cohen Wells. Run as a club day format with random draws meant karters had to pass to get to the front, so the racing was great to watch. Alastair Lee backed up Saturday’s win with another victory in TaG 125 Light. After claiming 3 heat wins, Brody Appleby claimed the final and 2nd overall with Jorden Distill 3rd. Tim Piper dominated TaG Restricted Light and claimed his first race win in front of his family. Calvin Broad was 2nd and young Jonty Darcy 3rd. In TaG Restricted Medium, Daniel Hinds continued his good form with another convincing win ahead of Sam Chettle and Shane Stonehouse. 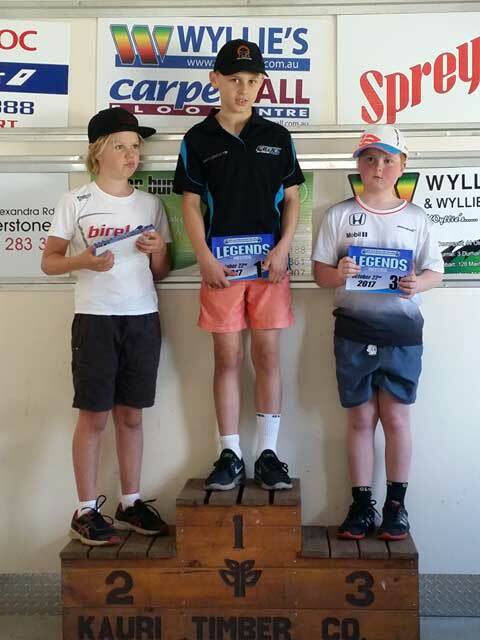 KA3 Medium was taken out by Shane Bray with Jackson Callow 2nd and Jorden Distill 3rd. Cameron Jeffrey was another to back up Saturday’s win with another on Sunday in Cadet 9 ahead of Kahley Lutrell and Rhys Jeffrey.